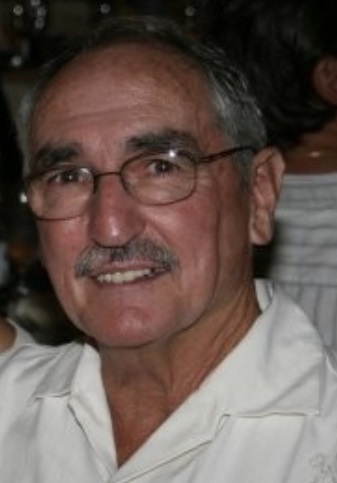 James Gavin, Jr., 76, a longtime resident of Framingham, now Northborough died Sunday, December 2, 2018 after a lengthy illness. Born in Boston, he was the son of the late James & Gertrude (Lutz) Gavin, and the beloved husband of Stacey W. (Hay) Gavin. James was a graduate of Norwood High School. After serving in the U.S. Navy, he enjoyed a 39-year career as a police officer in Framingham. Family, work, and golf were his life. James played at some of the finest courses around the world. Besides his wife Stacey, he is survived by his sons, Brian J. & his wife Karin of Mansfield, and Steven M. of CA; his grandchildren, Casey, Camryn, Declan, Ronan, and Molly; his brothers, Joseph & his wife Donna of Foxboro, and John of Framingham; and many nieces and nephews. Family and friends will honor and remember James’ life by attending his funeral service in the McCarthy, McKinney & Lawler Funeral Home, 11 Lincoln St. Framingham, on Monday, December 10th at 10 A.M. Interment will follow in Edgell Grove Cemetery. In lieu of flowers, remembrances may be made to: The ALS Association at www.webma.alsa.org or The Alzheimer’s Association at www.alz.org.